Iceland is a land of natural wonders with breathtaking views and landscapes that make you wonder why you had not visited sooner. 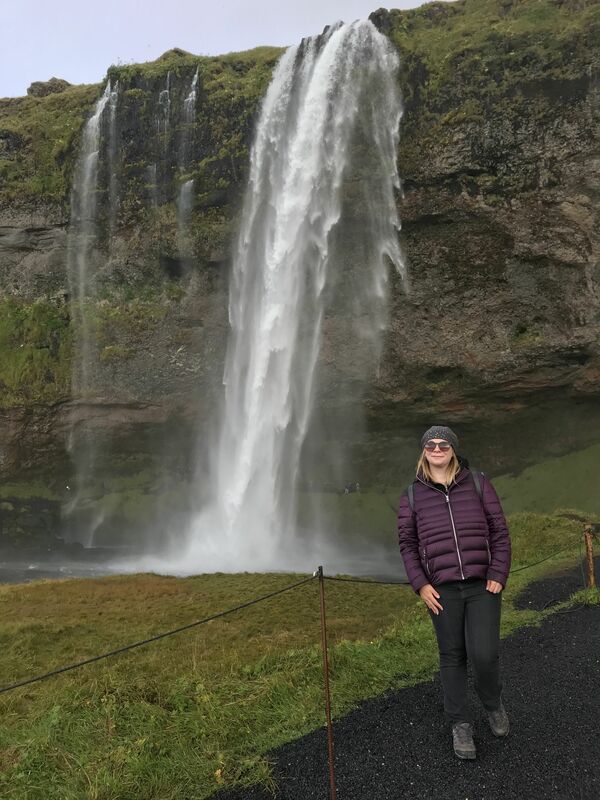 But before you go chasing waterfalls, there are some things you should know to ensure you are best prepared for visiting Iceland for the first time. One thing you need to know before visiting Iceland for the first time is the weather in Iceland is unpredictable at best! I visited with Adam (my Fiance) in September, which is known as Iceland’s only full autumnal month. Bright autumn colours and clear dry roads make September a great time to visit, though unexpected weather conditions can still occur. Some days, bright sunshine meant I could get away with light knitwear and on others, misty rain or downpours meant I had to ensure I had a waterproof coat and clothing to keep me warm. A travel warning was issued on one day of our three-day visit, due to a storm with powerful wind gusts causing snow and slippery driving conditions. 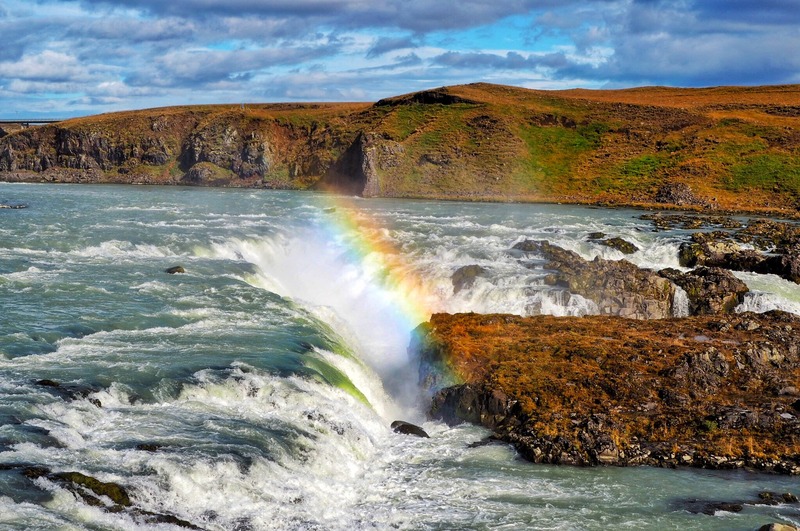 As such, the weather can often dictate what you see and what you do during your time in Iceland so it’s best to have an understanding of weather conditions to best plan when you want to visit Iceland. Especially, if you are planning on doing a self-driving tour of Iceland. We had no problem driving in Iceland, but if you prefer to do a guided tour of Iceland there are plenty of tours available to suit any budget. A must for first-timers visiting Iceland is to make sure you come prepared for changing weather conditions and never forget those warmer layers! That said, as the weather is so changeable, do not hide away on a rainy day as you will often be greeted by beautiful rainbows across the waterfalls once the rain has cleared. Sitting in one of the hot thermal springs with a rainbow view doesn’t quite sound as bad does it! Similarly to the weather, the best time of year to visit Iceland really depends on what you want to see and do during your trip. Iceland is first and foremost seen by many as a winter destination, as it is known for its snowy cold climate. It is called Iceland after all! As someone who prefers to be warm rather than cold, I wanted to experience Iceland and see all the natural wonders before the very cold winter season. I did some research before going in September as I wanted to see as much as I could on my first time visiting Iceland. I was keen to see the Northern Lights and the lack of darkness during the summer months, meant that it would not be possible. For this reason, September was an ideal time for me to visit Iceland but others may prefer to visit during the snow season or the quieter summer months. Similarly to September, seeing Iceland in March enables you to experience long days, with the possibility of still seeing the Northern Lights. 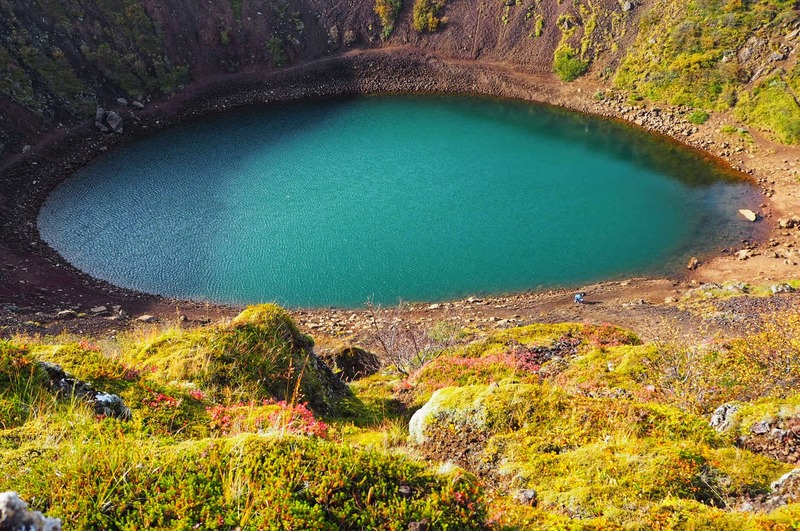 Though, when it comes to the best time to visit Iceland, it all depends on you! I’ve already touched upon the fact I was keen to see the Northern Lights, known as Aurora. The haze of green, purple, pinks and yellow tones of The Northern Lights are a reason why many choose Iceland as a holiday destination. This mesmerising phenomenon can generally be seen between the months of September – mid April. Note, I said ‘generally be seen’. As a natural wonder, seeing The Northern Lights is not guaranteed and poor visibility from low clouds or light pollution can be one of many reasons why you may not be able to see The Northern Lights. In my naivety, I had kind of expected the sky to be alight with a bright green and purple blaze of light when I saw The Northern Lights. Unless you are lucky, it really does not happen like that. Whilst photos to most may just require a point and click with an automatic camera. As I discovered, you may only see wispy clouds and therefore, will require setting your camera up to a night setting with a long exposure to really see the wonder of The Northern Lights. This can be tricky if you’re trying to set your camera up in the darkness and it’s the kind of thing that those who are handy with a camera forget to tell you beforehand. A key thing to know before visiting Iceland for the first time is to be prepared to get to know your camera first, to ensure it’s properly set up to capture The Northern Lights. There are aurora apps available to assist you taking photos on your phone that you may want to look at too (hopefully, you will have better luck with these than I did!) The apps available also track the best days and times to see The Northern Lights, which is useful. 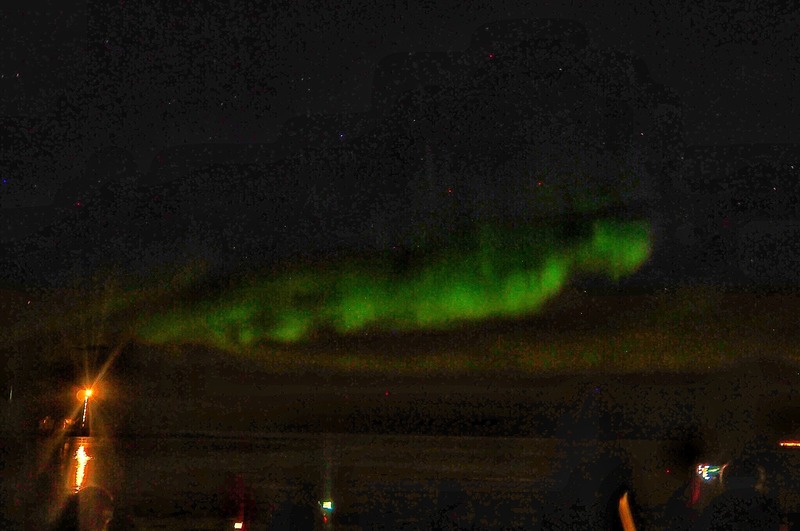 Taking pictures of The Northern Lights on a phone are said to be better if you select the Live Photo option (located next to the flash on an iPhone). You can then swipe up on a live photo in your gallery and switch along the options to change the picture quality to a long exposure. Knowing where to head to see them can be tricky too. Adam and I headed to the Grótta Island Lighthouse in Reykjavík and you do have to be patient not only finding a car parking space (this spot does get busy) but also waiting for The Northern Lights to appear. As we found, turning the engine on to have the heating on in the car meant the headlights went on automatically, which made us very unpopular with people outside waiting for the Northern Lights to appear. As I mentioned, we were able to see The Northern Lights without booking a tour but had not quite equipped our cameras to take the photos we were hoping for. The independence of having a hire car in Iceland is something we loved, but in hindsight, I do wish we had booked a specific Northern Lights tour. The tour guides know the area so will know the best spots to see the lights and some tours even offer a complimentary photo and can capture a professional picture of you with the Northern Lights. 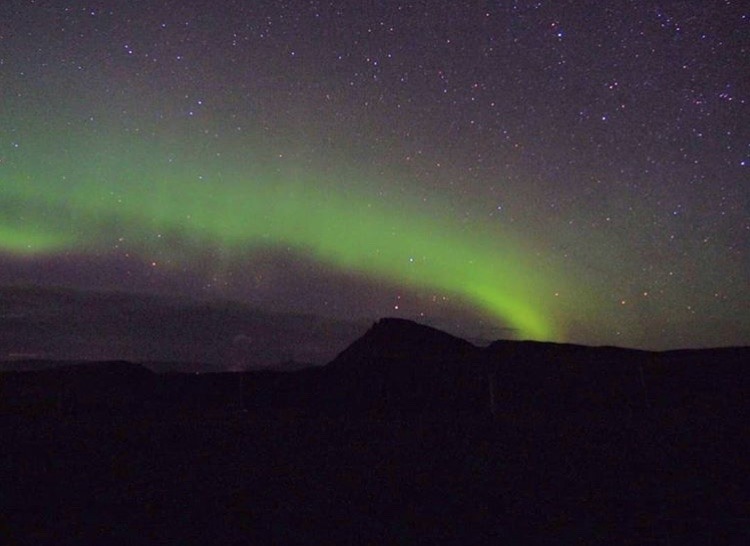 It is worth noting, due to the unpredictability of seeing The Northern Lights it is recommended that you book your Northern Lights Tour for your first night in Iceland as many tour operators will take you back out free of charge on subsequent nights if weather conditions prevent you from seeing them in all their glory. Seeing the Northern Lights is magical and this is something I wish I’d known before visiting Iceland for the first time. Hindsight is a wonderful thing…can I go back to Iceland please and go on a tour! If you would like to book a Northern Lights Tour Get Your Guide have some great deals. 6. Did you know you can book a free stopover in Iceland for a long-haul flight? If your planning a multi-centre trip or a transatlantic holiday, airlines such as Icelandair and WoW Air offer a free stopover in Iceland for stays under seven days. That means if you’re travelling to New York or Canada for instance, these airlines will not charge you extra if you stay in Iceland for a few nights before you take your connecting flights. Two holidays for the price of one isn’t bad is it! The Blue Lagoon has a bit of a Marmite effect on travellers to Iceland, mostly due to the cost at around £61 per person. Adam and I thoroughly enjoyed our time at The Blue Lagoon and in all honesty, it is an ideal thing to do during a brief stopover in Iceland. Just make sure you book in advance as it does get fully booked very quickly! Located only 15 minutes away from the airport, I would much rather fly over here for 24/48 hours for a spa day than visiting many U.K. spas. 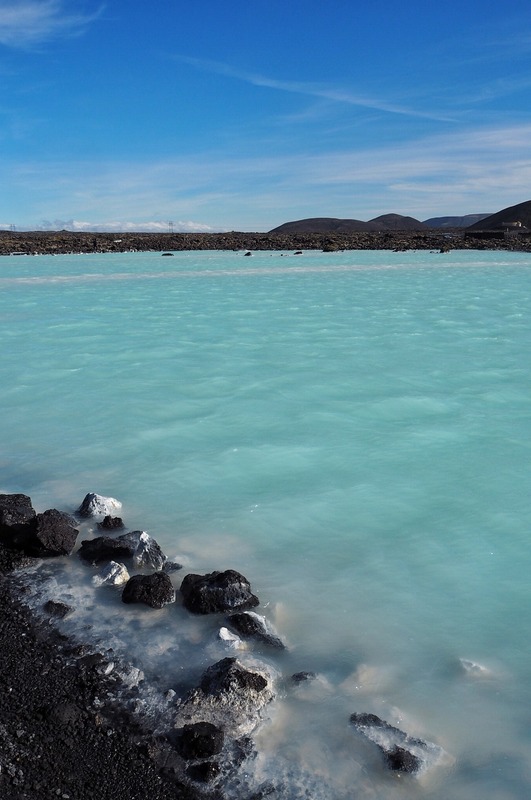 You can take the Flybus directly to the Blue Lagoon from the airport, which costs in the region of 12 euros per adult and has a regular service between Keflavik airport, Reykjavík and The Blue Lagoon. There is a luggage room available (located in the car park area) where you can safely store belongings. Just make sure you take your swimsuit, towel and waterproof camera. If you’re using your own car, you will be pleased to know there is free parking. Check out my Blue Lagoon Vs The Secret Lagoon post to help you decide which of Iceland’s hot spas to visit! 8. The water in Iceland may smell iffy but it tastes amazing! A bit like being told you can’t flush toilet paper in Greek toilets, a good thing to know before visiting Iceland for the first time is the water smells downright rotten. The smell of the water in Iceland can hit you quite unexpectedly if you are not aware before you go. A smell not too dissimilar to rotten eggs is caused by geothermal energy which heats the water from the earth’s centre. This is one thing to know before hitting the shower on your first visit to Iceland – it’s only the sulphur from the water and nothing to be worried about. On a separate note, the water in Iceland is among the cleanest in the world and the tap water tastes like it has come straight from a spring. With this in mind, make sure you take along a thermal drinking bottle. I purchased these thermal drinking bottles from Amazon and they kept our water cold all day. Alternatively, the bottle also keeps hot drinks such as tea and coffee hot too! Ideal purchases for road-tripping around Iceland. If it’s your bag go ahead but in my opinion, who wants to eat a rotten shark anyway…?! One question at the tip of every tourists’ tongue: Is Iceland expensive? Certainly, the prices in Iceland is definitely something to consider when choosing where to stay in Iceland. 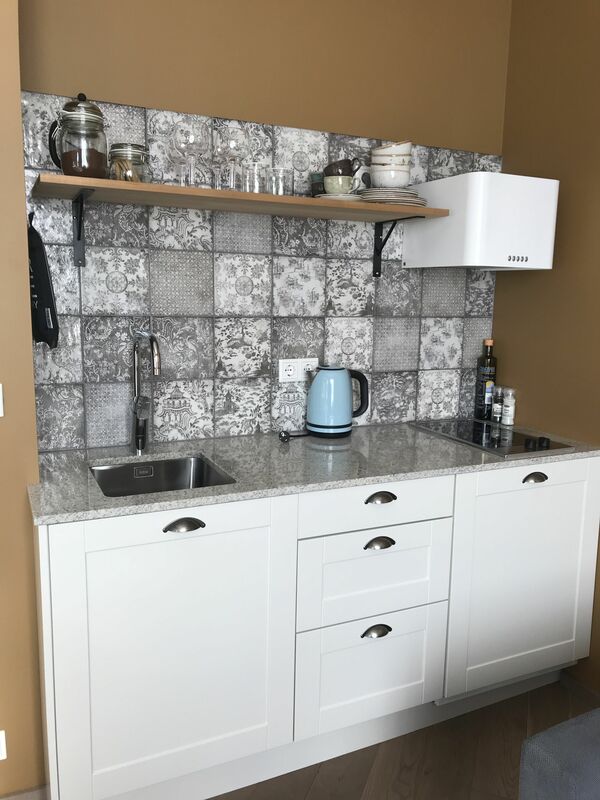 Our apartment hotel with kitchenette at The Swanhouse in Reykjavik was ideal for keeping our food costs down. A meal deal (sandwich, crisps and a drink for two) at the airport costs around £20. Though, would normally cost in the region of £3.50 per meal deal here in the U.K.
A glass of wine costs in the region of £12 and it’s worth noting the supermarkets in Iceland do not sell alcohol. Quite the shock, if you don’t know about these hefty prices before visiting Iceland for the first time. Do not fear as I’ve shared tips on where to purchase alcohol and how to save money when visiting Iceland (click here to read). Iceland was not somewhere that was initially on my immediate bucket list and in all honesty, I’m not the sportiest of people. But, I absolutely adored my time in Iceland and closely followed by New York, Iceland is now one of my favourite ever destinations. 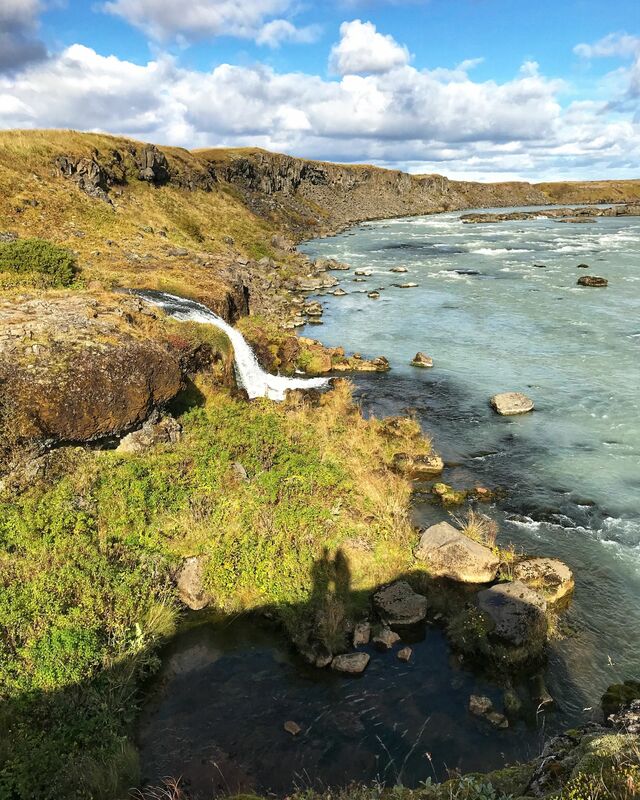 Iceland can fill your heart quite unexpectedly, and when you’re chasing waterfalls, stroking Icelandic horses and ending the day lulling in an Icelandic spa you cannot help but fall in love with Iceland. Iceland really is a place of unfathomable beauty. 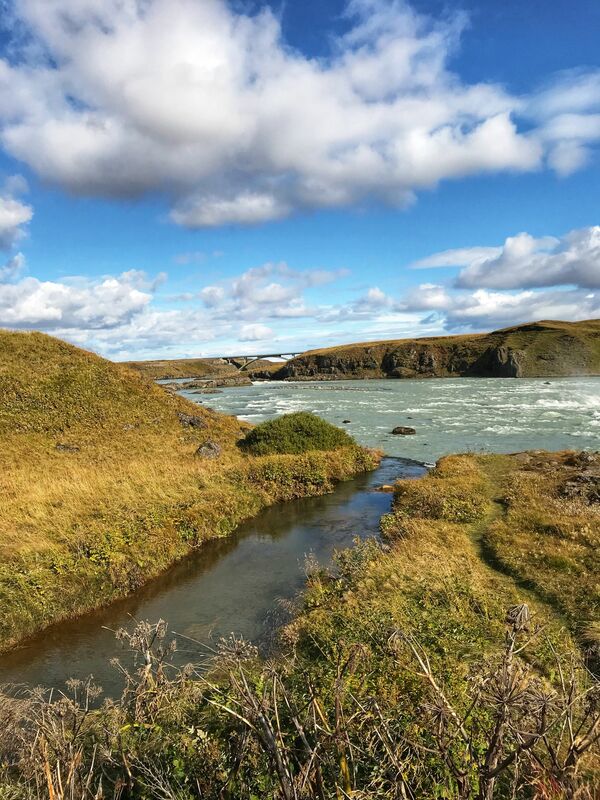 I hope this post has covered off all the things you should know before visiting Iceland for the first time, to ensure you pick the right time to visit, to see the best attractions Iceland has to offer and have an incredible stay in the land of fire and ice. 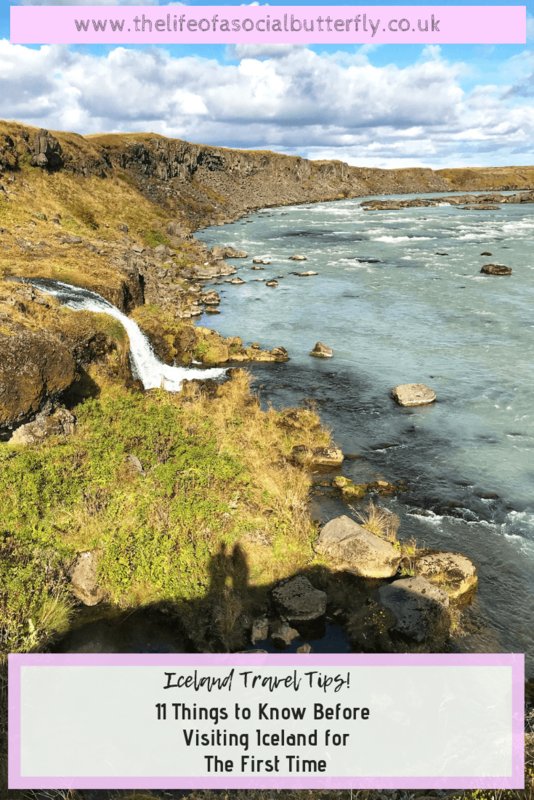 Head over to my Sightseeing The Golden Circle post, where you will find tips for things to do and an itinerary for a four day trip to Iceland including maps! If you found this post useful please share it 🙂 Every share helps my little blog be seen by a wider audience and helps spread Icelandic magic to inspire others to visit too! Pin this post to Pinterest to view at a later date! I love how there’s no one perfect time ot year to visit Iceland- it really does depend on what you want to see and do! Love this post! Iceland is definitely on our bucket list within the next year! Ive heard all these amazing things about the Blue Lagoon and seen some amazing pictures. Thanks for the heads up and tips to book it in advance, Does it get really crowded to a point where people are to close to each other? You can really have a ~7day stopover in Iceland when travelling from Europe to Canada? Alright, that’s interesting… Though… on the other hand, I’m not sure if 7 days will be enough to see most of Iceland – just the Golden Circle maybe? I was thinking about going to Iceland in March to have a better chance at seeing the Northern Lights.. I was already aware that it’s not guaranteed but had NO IDEA about the water smelling! Haha thanks for the heads up! Really enjoyed your post and beautiful pics. 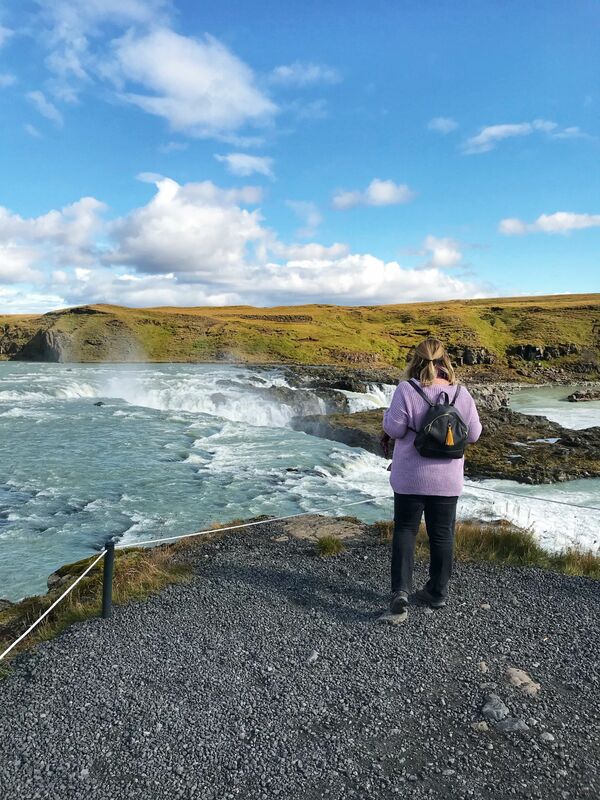 We visited Iceland and did the Golden Circle, all of which we thoroughly enjoyed but we left feeling like there was so much more to see. Your post makes me want to go back! I have not been to Iceland yet and do plan. 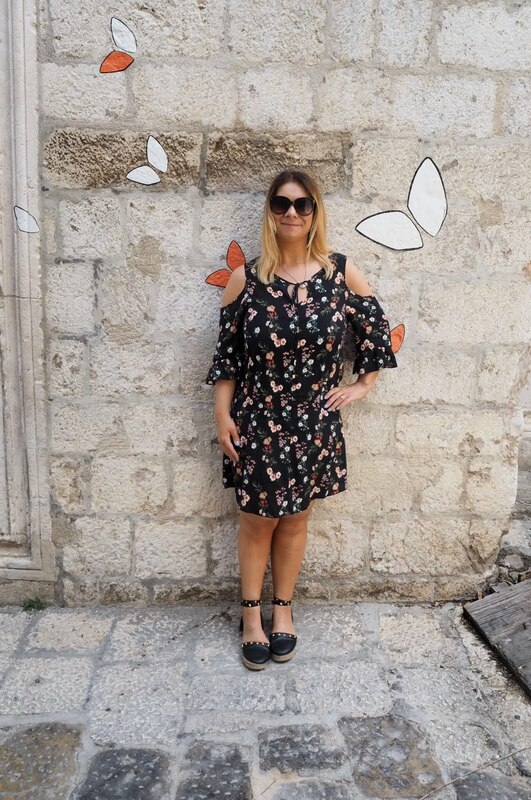 Your travel tips for first timer will come handy while curating my itinerary. A friend showed me some photos of Iceland a few weeks ago and when I read your post it makes me think that it is in my destiny, to visit soon! I had no idea about the aurora apps available to assist you, I know it’s not easy to take photos, but that’s a wonderful tip. Absolutely loved the post! I was looking for some sensible travel tips for Iceland and here I’m reading them 🙂 We have planned our visit to Iceland in March. The itinerary has been done more or less. Of course, Northern Lights are on wish list 🙂 Fingers crossed! Pinned your post. Bookmarked it too for the future reference. Thanks a lot for sharing this. Have been to Iceland many many years ago! I realized only later that it was not the cheapest of travel destinations since the web was not having proper information once! My Gosh spent so much of money! This is a great post on Iceland. I had no idea about the water. There is some great tips on this for sure. Iceland is on our list and these are really helpful tips for anyone visiting this lovely place. So far I always thought I would like to visit when can see aurora lights but that for highlighting that no guarantees seeing the Northern Lights in Iceland. That give us flexibility. I really want to visit Iceland! Thank you for sharing the tips Jasmine! The Swan House Apartments look fabulous and the Blue Lagoon is so magical! Can’t wait to go! I really need to go. I’ve transited 4 times but never left Keflavik so I need to experience it. It’s so expensive so I really need to plan to maximize my trip and cost. 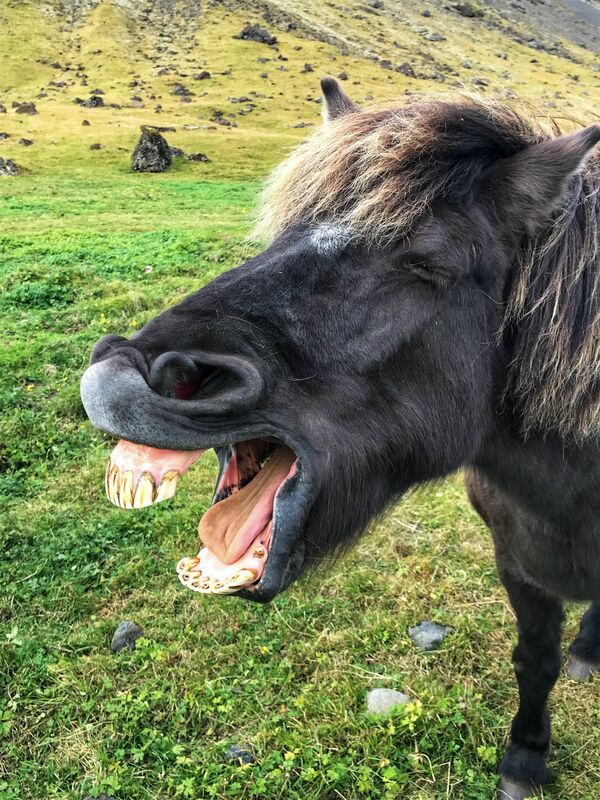 That horse needs a good teeth cleaning lol. Great tips for visiting Iceland. It’s worth the high costs – such an incredible place.